First up today, a Valentine's Day card for my niece. 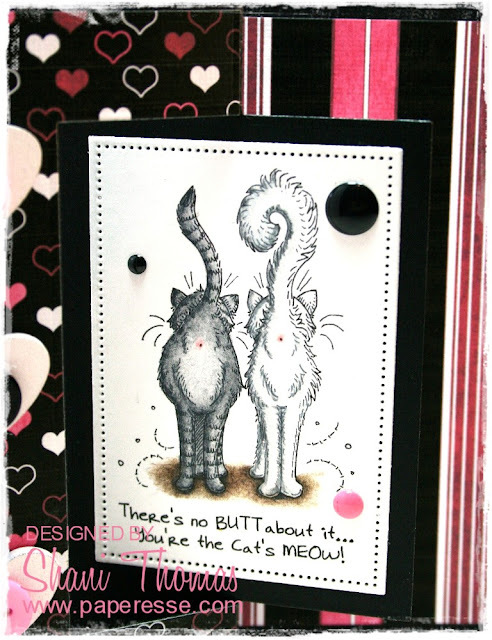 I created this card with a new inexpensive no-brand Chinese swing card die I recently purchased. This is my first time to use it. I thought that having the die would be easier than measuring and half-cutting a standard die. It turns out that's really not the case, but more of that later. The Kitty Butts digi and sentiment are from the now defunct Meljen's Designs.This is the perfect digi for a cat lover like my niece. I used it on another cat loving friend's birthday card HERE, complete with paw print paper. 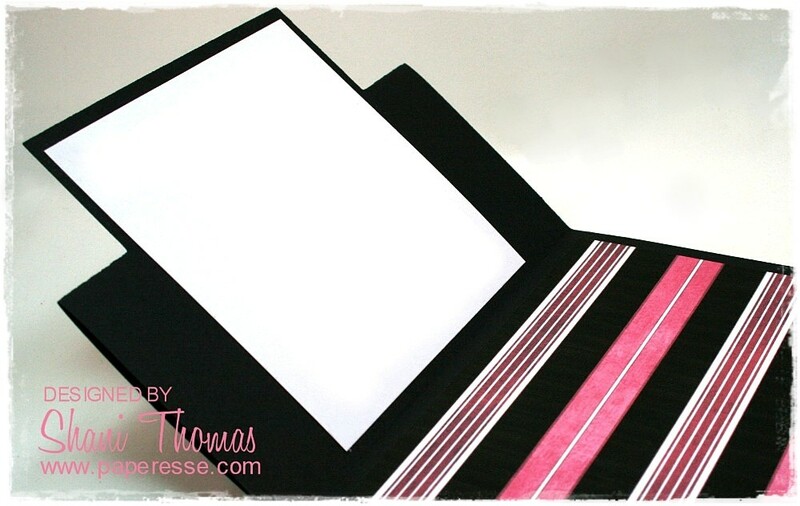 This paper is from Tactile Studio's Hugs and Kisses digital paper pack. I colored the cats to match the two my niece has – charcoal gray and white. Embellishments are wooden hearts, buttons and enamel dots. I wasn't quite sure where to place my message space, but decided on the back side of the front. It's a cute card and I was pleased with the design. In real life that is, it's hard getting it to look right in a photo. ATTENTION! Quit reading here (assuming you've bothered to read anything at all) if you have no interest in knowing how to use a no-brand inexpensive Chinese swing card die. That's it. No instructions. So you Google it. No instructions there either. Hmmm. Even though I knew how to make a swing card with a standard die, I admit to being stumped at first. I had to think about it a bit to figure it out. Which is why I'm doing this tutorial, as a public service to all thrifty crafters who have purchased this die and have no idea how to use it. Here we go! On y va ! 1) Create your card base. A 14.5cm square card was used here. 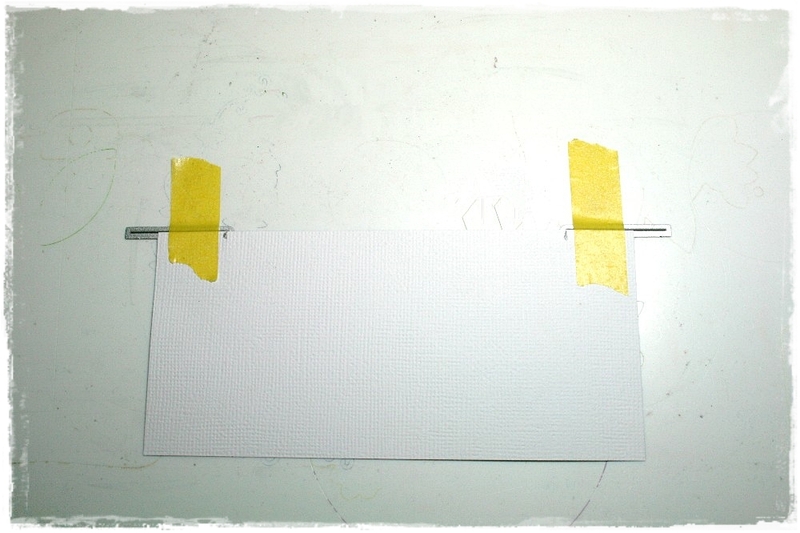 2) On the front side of your card measure a half-way point and make a pencil mark. It's at 72mm on this card; see that little pencil mark there? Yes, I know, I should have made it bigger. Take the fold part of the die, line the 'legs' of the die up with your mark and secure to your bottom die-cutting plate, exactly as shown above (the back of the card is hanging off your plate). 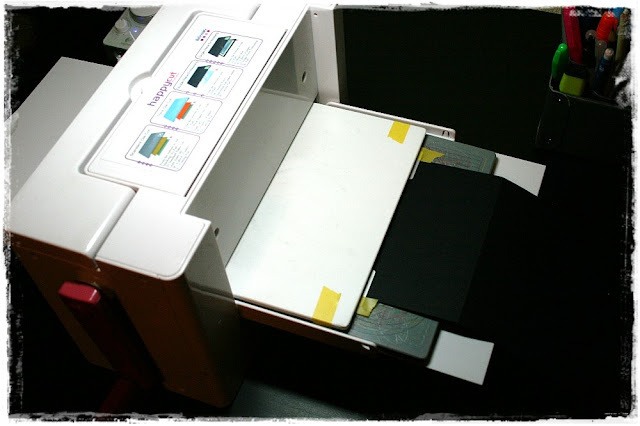 3) Take your top die-cutting plate and make your sandwich in such a way that the top plate goes just to the legs of your metal die, but does NOT go over it. This is very important! 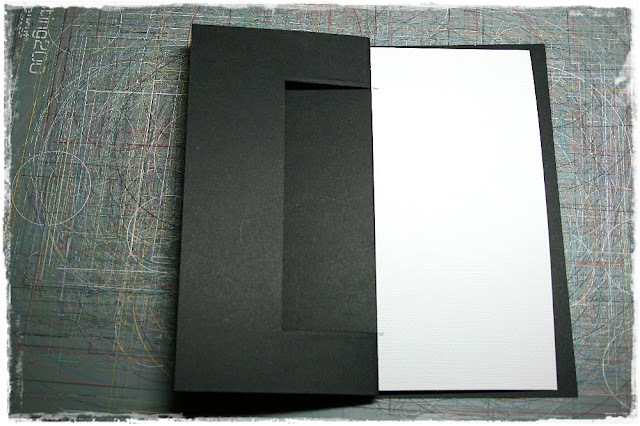 If your top plate goes over the legs you'll cut the card front in half. Make your sandwich more stable by securing the edges with washi tape. Feed the sandwich through your die-cutter. 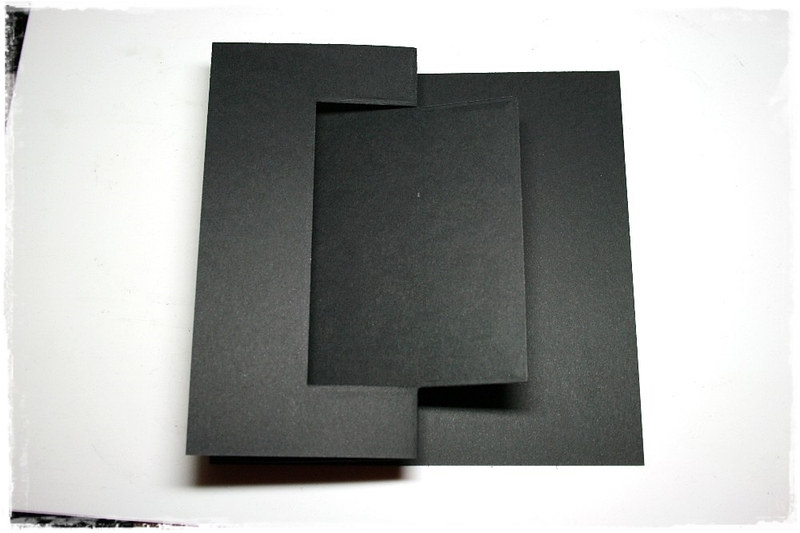 4) Fold the right edge of the card front back to meet the left front edge. It will look like the above. If you cut off the right side, you went over the legs of the die when you ran it through your machine. 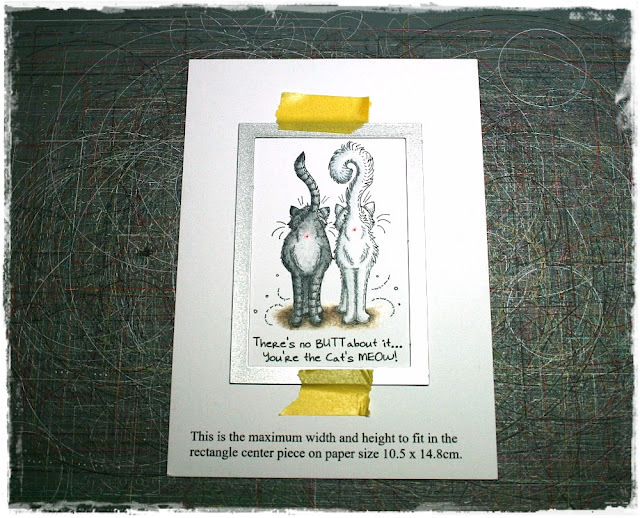 5) Cut a piece of your card front patterned paper to half your card front measurement – width and height – this one was 7.2cm x 14.5cm. Place it patterned side down next to your card front, as shown, making pencil marks to show where the rectangular open area of the card front is located. 6) This is a bit tricky, but arrange the fold die cutting side up on your top sandwich plate and place the piece of patterned paper patterned side down on top of the die, making sure you don't go over the legs, lining up your pencil marks as shown. Secure with washi tape. Place your bottom cutting plate on top and run through your machine this way; it will still be cutting on what is normally the bottom plate. 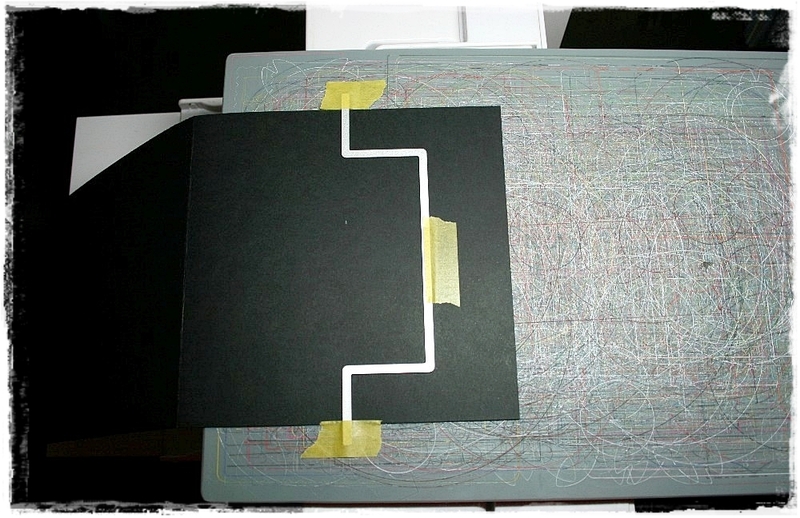 If for some reason your die-cutting machine can't do this, just flip the sandwich over and run through as normal. 7) This is what you'll have after #6. 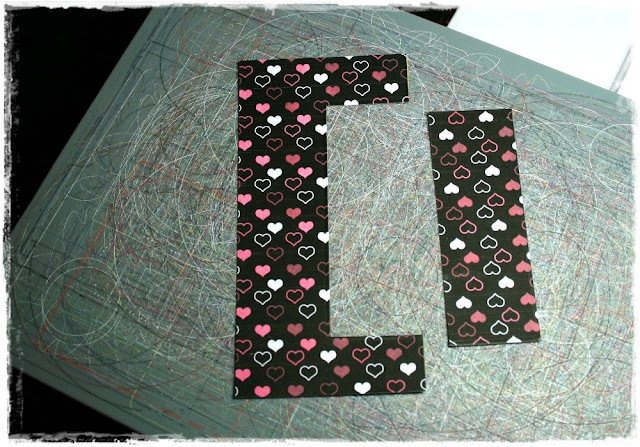 Cut another measure of patterned paper for the inside part of your card (the striped paper on this card). 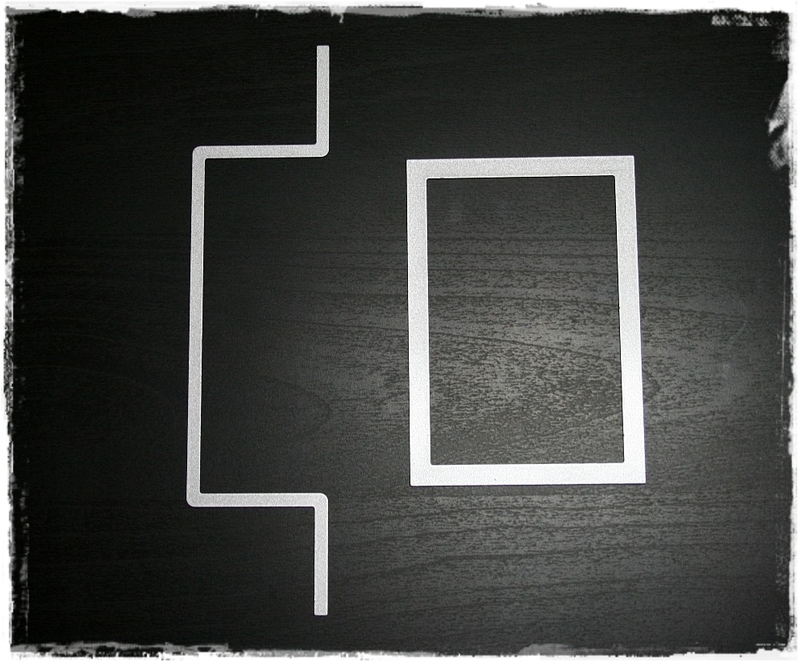 8) Take the rectangle die and cut your card's focal point. Notice the note under the stamp? I create a template for card sizes/dies in Craft Artist so that I know approximately what size my digi needs to be to fit. I just replace one stamp with another the next time I use it. Saves me from having to guess my digi size and a possible waste of paper if it isn't right. So, there you go! Hope that helps if you bought this die and don't know how to use it. 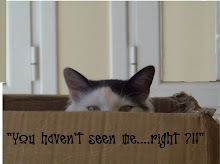 I'm linking up with: Show Us Your Pussies Cats Only Challenge #27 – Cats + Love, Cute Card Thursday #516 – Love, Pause Dream Enjoy #6 – Valentine Cards or Treats, Deep Ocean Challenge #174 – Love is all Around, and Try it on Tuesday 05/02 – Love is in the Air. LOL! Love your little kitties' butts! And your tutorial was well laid out - really nicely done! 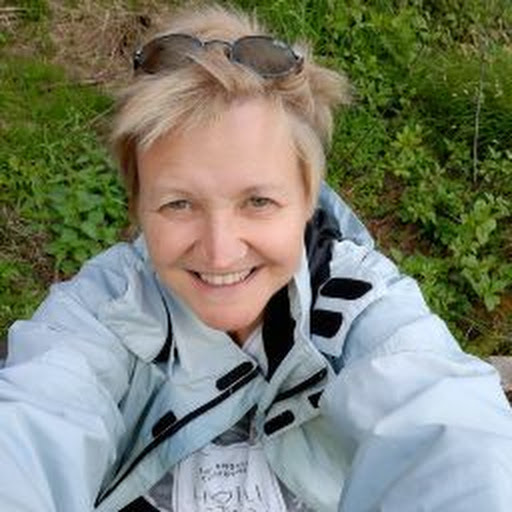 I will not, however, be buying that die because then I would have to buy you a ticket to come across the pond and SHOW me... I am hopelessly challenged when it comes to spatial concepts! Arrrrgggghhhh! What a super fun and BEAUTIFUL card! Amazing! Thank you for joining us at Try It On Tuesday! Oh là là ! Pour moi qui suis fan des chats ta carte est superbe!! Ils sont très mimis les matous.. This looks a fantastic card design. It is a real fun image you used as well. Thank you for joining us at Try it on Tuesdays. Darling Valentine card. Thanks for taking the time to educate us on using the die. I have to say though, I think cutting and scoring may be easier! Such a fun card! I love the papers you used. Thanks for the helpful tutorial too! Cute card! Thanks for joining us at Pause Dream Enjoy.